Heidi's Diary of a Backpacker. On my last day on Paxos I still had plenty of time to go to the beach because my boat to Parga didnt leave until 4 pm. 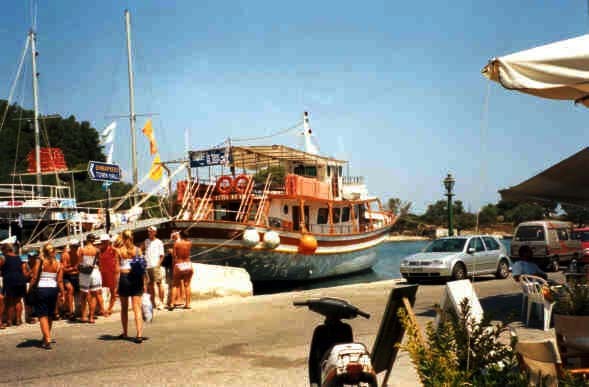 I took a bus to Kaki Langatha on the eastern side of Paxos. Its a small cove, pebbled and very beautiful. The only bad thing I can mention is that there were a lot of sea urchins on the seabed. You really have to be careful not to get stung by them. With shoes it was okay to swim. The other end of the beach was better, there were no sea urchins there and its less deep. There are no facilities on this beach. The beach is easy to access by bus, busses leave from the bus station in Gaios, but there are also busses from Longos and Lakka. My boat back to Parga left exactly at 4 pm and I was back at the harbour in good time before that. After an hour and a half Im back in Parga harbour and since my bus to Preveza and on to Lefkas wont leave until morning, Im off to find a hotel. I find a room in the hotel Bostrofos and its only 20 euros per night. I have an early wake-up call next morning so I pay in advance. Usually its okay to pay when you leave. One last dinner in Parga and short volta through the famous Blue Bar then back to my hotel to get some sleep. I started my journey to Lefkas at dawn and the bus takes me first to Preveza where I change busses and continue on to Lefkada. What I like about travelling by bus is that mostly the busses are air-conditioned and well equipped, they are so very cheap and timetables are sufficient. My ride to Preveza cost 4 euros and from Preveza to Lefkada only 2 euros! Sometimes it may take quite a while to travel by bus but you have an excellent chance to see the Greek countryside. 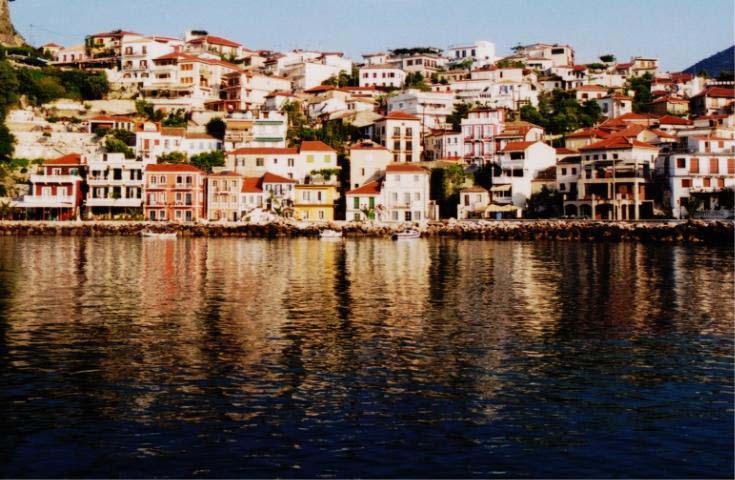 I left Parga at 7 am and I was in Lefkada town by 9 oclock. What made the ride even more interesting was the new tunnel from Preveza to Aktion (airport) side. There is a narrow channel between them and before you had to take a ferry to cross it. How slow is that! Now you can take an easy tunnel across and save a lot of time. The tunnel has been all ready for years now but the official opening was held in May this year. I dont know the reason for that but I guess there is one. There are toll booths at the entrances but they are not yet in use. With these payments the Greek government tries to please the former ferry employees as well as pay the costs of making the tunnel. There is nothing unusual about the tunnel it is like any other tunnel but it feels a little weird to know you are several meters under the seabed.